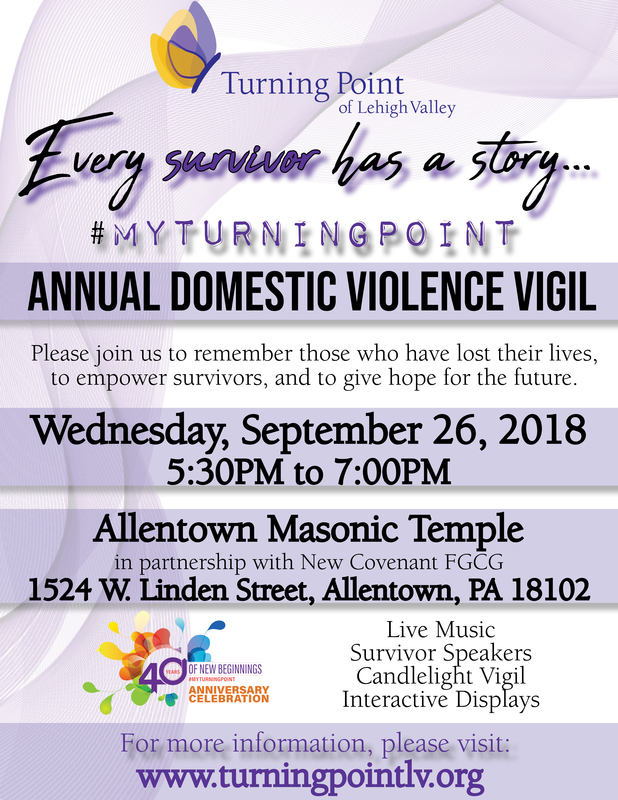 Please join us for our 2018 Annual Domestic Violence Vigil – Every survivor has a story…#MyTurningPoint on Wednesday, September 26, 2018 from 5:30-7:00pm. 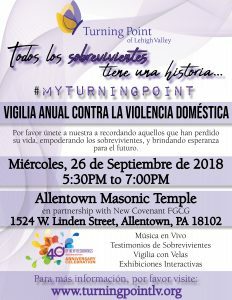 The vigil will take place at the Allentown Masonic Temple in partnership with New Covenant FGCG located at 1524 W. Linden Street, Allentown, PA 18102. 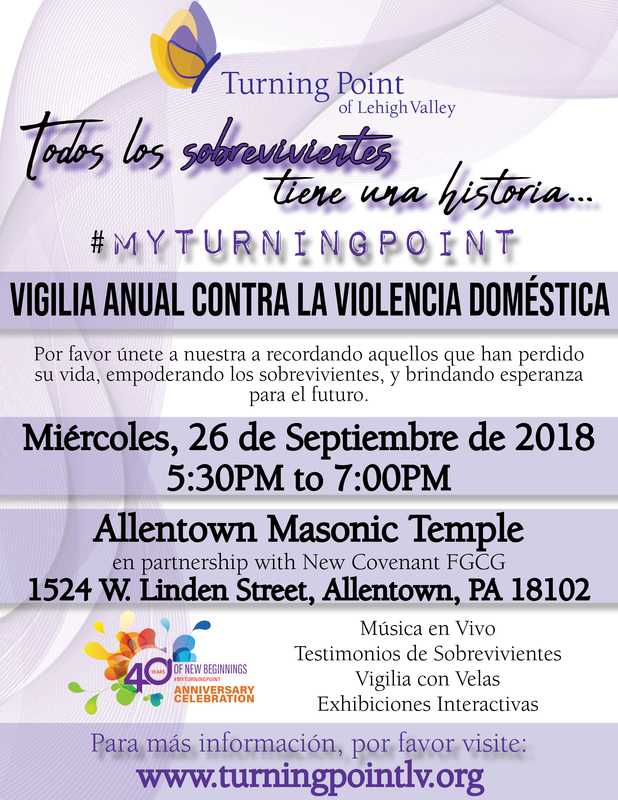 There is a parking lot and street parking available. 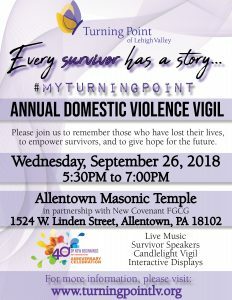 There will be refreshments, live music, survivor speakers, interactive displays, and a candlelight vigil.